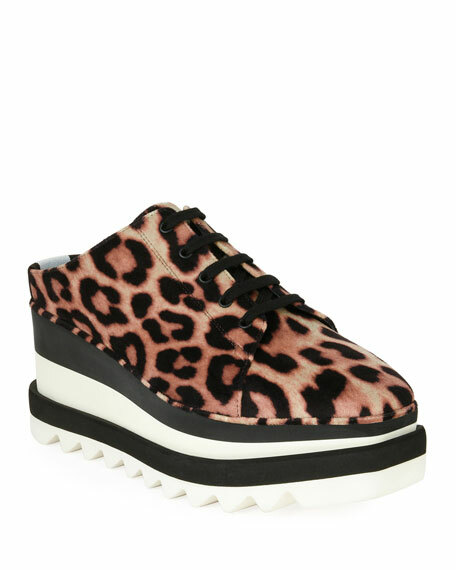 Stella McCartney "Elyse" sneaker in leopard-print fabric. 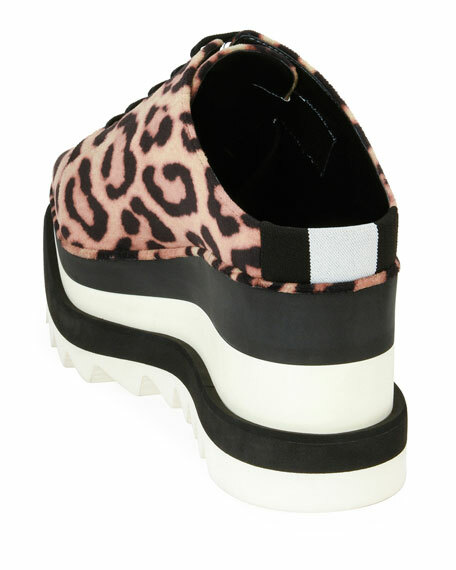 3.2" striped wedge heel; 1" platform; 2.2" equiv. Grosgrain striping at heel counter. Alexander Wang suede sandal in crystal-studded design. 0.3" flat heel. 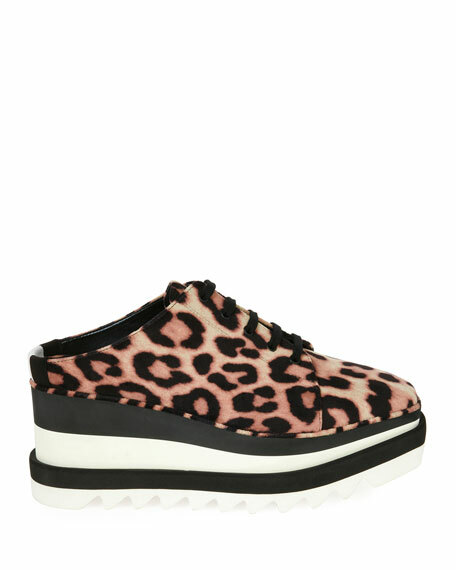 Round toe. Caged vamp. Slide style. Leather lining. Smooth outsole. Alexander Wang suede sandal in crystal-studded design. 0.3" flat heel. Round toe. Caged vamp. Slide style. Leather lining. Smooth outsole. "Alison" is imported. 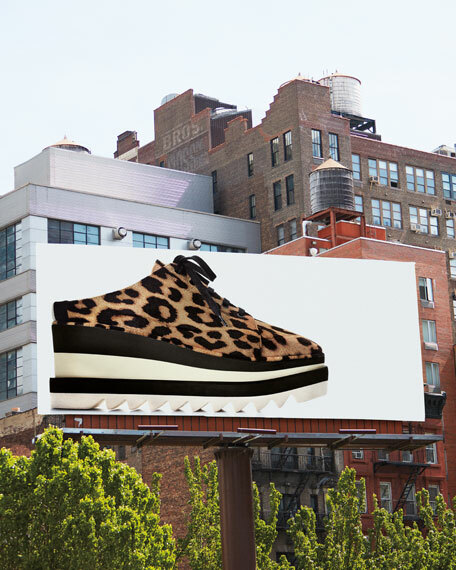 Gianvito Rossi mule in leopard-print dyed calf hair (France). 4.3" covered stiletto heel. Open toe. Slide style. Leather lining and sole. Made in Italy.